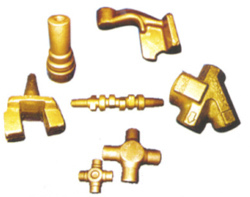 are able to offer cost-effective castings of the highest quality. Forging products have several advantages over other manufacturing processes. Aluminum, Carbon, Alloy, Stainless Steels, Tool Steel, Titanium, Brass and Copper, etc. Crank Forging Press, Abrasive Forging Press, Hydraulic Forging press, Horizontal Forging Machine, etc.